Solomon Islands has long been renowned as a football hotbed in the Pacific. Unlike some of their Oceania neighbours, football is comfortably the No1 sport across this Melanesian archipelago. The nation returned to the continent’s highest stage recently with an appearance in the Oceania FIFA World Cup™ play-off after a 12-year absence. 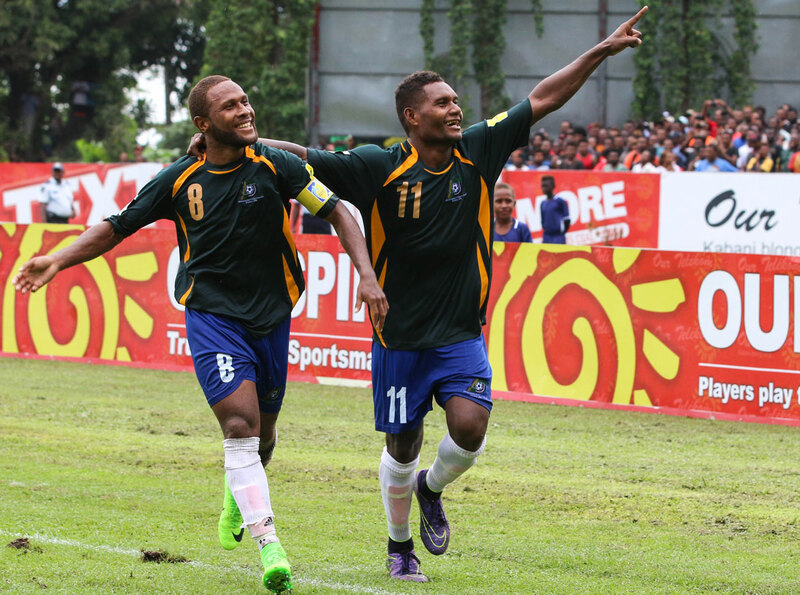 That run helped Solomons Islands reach 152 on the FIFA/Coca-Cola World Ranking – their highest position for four years. Their recent peak, however, is still somehow off their best of 123, achieved in 2007 in the wake of a memorable Oceania play-off against Australia. However, an 8-3 aggregate defeat against a partly under-strength New Zealand in September’s Russia 2018 play-off suggests the final hurdle to Oceania’s summit is a sizeable one. Few would argue that Solomon Islands are deserving of their regional reputation as gifted and entertaining footballers. That raw talent is evident in the national team – the Bonitosas they are affectionately known – and that quality extends to beach soccer and futsal, where they have enjoyed multiple appearances on the world stage in both disciplines. “We have a lot of natural talent, but we need to work a lot on developing the game,” Felipe Vega-Arango, the Solomon Islands Football Federation technical director said. The challenge, however, is to harness that raw talent and turn potential into something greater. To that end, Vega-Arango was brought in earlier this year thanks to an arrangement with the Spanish FA. The Spaniard, who boasts extensive international experience within youth development systems, ended up coaching the senior team in the concluding stages of their Russia 2018 campaign, such was the lack of qualified options. What areas need to be improved for Solomon Islands to move forward? “We need to work a lot on coach education,” said Vega-Arango of the starting point. “There are not many coaches with qualifications in the country and if you don’t have good coaches, then having good players is extremely difficult. I would say impossible. “We also need to create a national junior league. It is amazing how much talent and technique our U-17 national team has, but they have never played a competitive game in their lives. Currently no Solomon Islanders play professional football. The best-credentialed current player is forward Micah Lea’alafa who plays for Auckland City, and is set for another appearance at next month’s FIFA Club World Cup. A decade ago Henry Fa’arodo earned a professional contract with A-League club Perth Glory, and before him Batram Suri did likewise in Australia’s former national competition. None, however, have achieved similar status in recent times. Vega-Arango believes the lack of regular quality football is problematic, even more so at youth level. “The level of New Zealand and Solomons at U-17 level is pretty much the same,” he said. “But then there is no league and we need to fill that gap for our players.